We, the Mentawai people, have developed our own ecotourism trekking system to help protect our Indigenous culture and share benefits across our community. We’ve developed a system that allows you to see exactly where your money is being spent and how this will benefit the future of our community. By supporting Mentawai Ecotourism you contribute to a community-run model designed to protect our Indigenous culture and forest environment. As part of this, 10% of your total payment goes toward our community’s Suku Mentawai ‘Cultural and Environmental Education Program’ (CEEP). 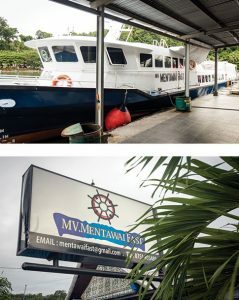 One of our Mentawai staff will be waiting at the ferry port for your arrival and will organise transportation to the Ecotourism office, which is located approximately 1km away in the village of Muntei. 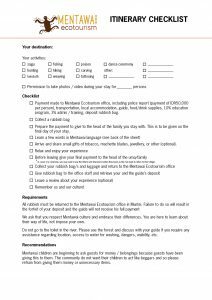 Take some time to read about what Mentawai has to offer and exactly where your money will be spent. Begin your Mentawai jungle adventure! *NB: See checklist for who to pay directly and when. We’ve developed a payment system designed to prevent corruption and ensure all parties receive fair compensation for their contribution. To do this, we’ve outlined the exact cost of each component of the tour and who and when to give payment. We feel this method will provide a more meaningful experience and allow us to sustain our Mentawai customs and cultural ecotourism well into the future. For further information and to reserve your tour booking, we recommend contacting us via the contact form at the bottom of our webpage.